With Bermudian bees continuing to drop in numbers, as is the case with bee populations in many parts of the world, the Ministry of Environment and Planning has taken the time to outline the problem in their latest Envirotalk newsletter, highlighting not only the issues being faced by our bees, but also what we can do to give them a helping hand. Bermuda’s bee population has had a rough few years and recently experienced another massive die off, the start of which occurred in the fall of 2012. Since this time the Department has been concerned about the rise in symptoms that often indicate a Nosema infection (crawling on the ground, lethargic, lack of honey collection) and the occurrence of a colony with numerous bees displaying the characteristics of Deformed Wing Virus. Beekeepers have reported losses of up to 70% of their colonies during this time and inspections of several bee yards(apiaries) confirmed the substantial losses. During these inspections, several surviving colonies exhibited Nosema symptoms and the presence of Nosema was suspected. Nosema infections are caused by a microsporidian gut parasite called Nosema ceranae, that is easily transmitted from bee to bee. Low levels of this parasite can be tolerated by the bees, but high levels can stress a bee colony, often to the point of collapse. Samples were taken and tests confirmed that the colonies had levels of Nosema high enough to cause concern. Fortunately, Nosema is bee-specific and is not a risk to humans via the honey, so there is no concern when consuming local honey. Additional surveys were performed to determine varroa mite levels and were found to be high which is consistent with mite levels found in samples taken in the past. Varroa is a parasitic mite that lives on the bees and feeds on their blood. 1. Select plants that attract bees. Bees have a strong preference for purple, white and blue flowers, and some reds and oranges. Try planting bee-favorites such as cuphea (Mexican Heather), pentas, lantana, alyssum and sunflowers in your garden.Herbs such as rosemary, thyme and mint or vegetables such as pumpkins and squashes are also attractive to the bees. bees enjoy but are sometimes hastily pulled up by over-eager gardeners seeking a manicured lawn or garden. 3. Provide a water source. Bees need to drink water so a clean bird bath filled with water or a small pond will ensure they have moisture. 4. Do not use pesticides in the garden unless it is absolutely necessary. If you do have to use pesticides, chose the least toxic option available. Soap solutions, horticultural oils, diatomaceous earth and home remedies such as hot peppers, garlic and coffee grinds have their place in controlling garden pests. See your local plant nursery for advice on less-toxic pesticides and the application of good horticultural practices to garden maintenance will lessen the need for pesticide use. 5. Remove wild swarms safely — do not destroy them. Healthy bee colonies increasing in size will swarm, leaving some bees and a queen in the old hive with the old or new queen and some workers leaving to find a new location. A swarm that is still looking for a home may rest on a branch or side of a house temporarily, though holes in trees, roofs and buildings may be suitable homes for a swarm. If you find you have a swarm nearby, contact a beekeeper to have it removed professionally. He will take those bees and start a new beehive with them rather than killing them unnecessarily. 6. Support your local beekeeper. Buy local honey when available as taking care of bees is an expensive task and time consuming. Selling honey is one way that beekeepers can recover some of the costs of buying and maintaining hives, equipment, etc. 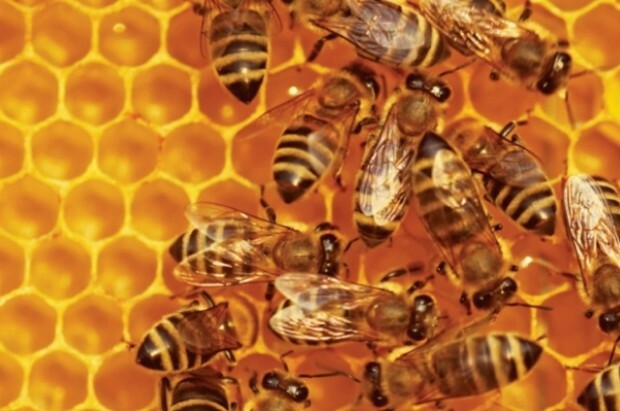 The beekeeping industry is going to need more beekeepers to keep the industry alive. If you are interested in keeping bees or even having bees kept on your property, contact a local beekeeper to express your interest. Perhaps it might be a good idea to control pesticides used on the side of the road and at golf-courses. Controlling pesticide-coated seeds in food crops would probably be good too.